At least three varieties of butterflies enjoy the lilac bush next to the Carriage House on this beautiful spring day. Young eagles had just flown away leaving this parent to watch below. Eagles are often spotted at Moosehead Lake – a wondorous site for sure. A doe and her twin fawns make themselves at home this morning grazing on the lodge lawn…no wonder we’re loosing flowers! 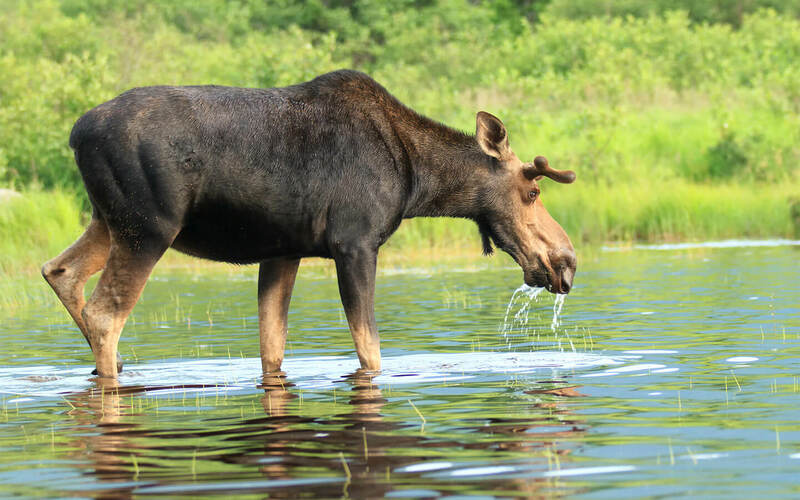 May and June are great months to come to the Moosehead Lake region to see Moose. It is calving season and not uncommon to see twins. Call the Lodge to book your room and let us reserve a Moose Safari and Wildlife trip with our Registered Maine Guide. These photos were taken by Lodge guests.